"Did you know that ski slopestyle athletes fly off jumps to do incredible tricks in midair? They can grab their skis and spin around two times before landing smoothly on the snow. Some skiers also glide down rails before jumping off and racing to the next jump. They soar as high as they can to wow fans and judges. 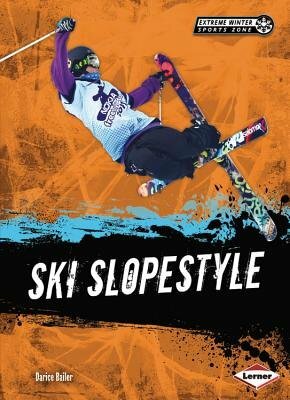 Enter the Extreme Winter Sports Zone to learn about the history, gear, moves, competitions, and top athletes connected to ski slopestyle. You'll discover: How early ski slopestyle athletes jumped off bumps called moguls. How to win the fiercest ski slopestyle competitions. How to stay safe while flying off ramps and down rails. Where to watch the best ski slopestyle athletes compete head-to-head. Are you into sports? Then get in the zone "